Are you a ‘Coffee Shop Sophisticate’? Have you met a ‘Chic Traveler’ in the past? 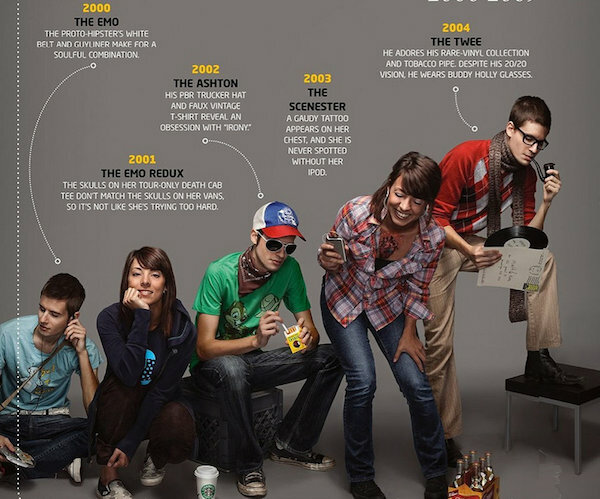 Paste Magazine has created an interesting infographic, titled ‘The Evolution of the Hipster 2010-2015’. This is a follow-up to their earlier series, shown below, where they have tracked how hipsters have changed in the past decade since 2000. Check out the infographics to find out more.